David Patterson has had a phenomenal impact on computer architecture and computer science over the last 40 years. He’s perhaps most notable for the industry impact of the projects he’s led over these years. I first got to know his work back when the Berkeley Reduced Instruction Set Computer project started publishing. The RISC project was based upon the premise that processor complexity was effectively wasting much of the CPU transistor budget and the best way to make processors faster was actually to make them simpler. Like much of the work with which Patterson has been involved over the years, it was contrarian approach. And, like almost all of Patterson’s work, rather than argue a given approach had merit, they actually implemented the design and showed real results even though creating microprocessors was at the time a sport usually only taken on by the very largest companies. 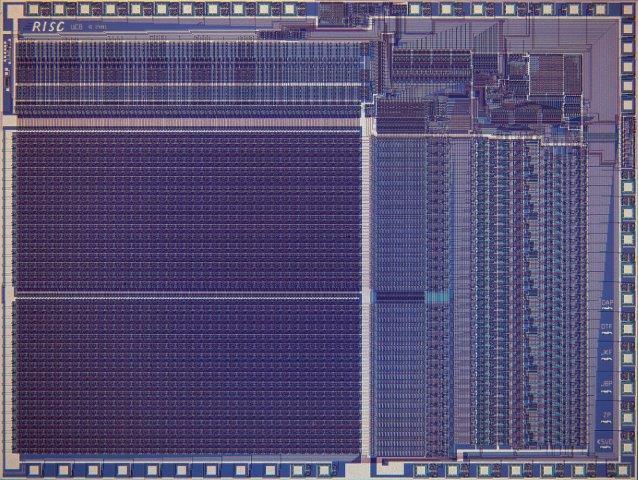 The Berkeley RISC design formed the basis for the commercially successful SUN SPARC processor and the ideas pioneered in this research continues to have influence today. I still remember loving the register window design they came up with when I was writing a Pascal compiler for the Pyramid 90x back in the early 80s and anyone that has used an early sun workstation will recognize many of the ideas from the Berkeley RISC project. Patterson with Garth Gibson and Randy Katz led the Redundant Array of Inexpensive Disk project. It’s just about impossible to work in our industry even today and not work with or at least use RAID storage. If I had to point to the one academic project that has most influenced my designs, this might be the one. The core idea of replacing an incredibly expensive “enterprise quality” component with a set of redundant and less expensive components just keeps playing out in our industry. Anywhere we find a gold plated hardware platform, there is opportunity to replace this system with a redundant array of high-volume, inexpensive parts. Exploiting volume economics and redundancy to produce less expensive solutions with even better reliability, availability, and serviceability is a theme that has kept me busy for much of my life and the idea is nowhere close to worn out. The two text books that have most influenced my thinking over the years are Jim Gray and Adreas Reuter’s Transaction Processing: Concepts and Techniques and Patterson and Hennessy’s Computer Architecture: A Quantitative Approach. Patterson also led the Berkeley NOW project and the Berkeley AMP Lab. He was also president of the Association of Computing Machinery and it was during this time the ACM landmark publication of the ACM, the Communications of the ACM, was returned to relevance. Over the years, I’ve learned to look to a very small number university research teams that just seem to repeatedly have the knack of working on industry relevant problems. Patterson at Berkeley heads this list and, with is planned retirement this year, we are all going to miss a rich source of new ideas, his careful listening to the problems currently faced by the industry, David’s signature lack of respect for the status quo, and most important, his “build it” approach to proving engineering ideas. If you are in the California area or can cost effectively be there on Friday May 6th 2016, you have an opportunity to see David Patterson’s last Berkeley lecture. On the following day, also at Berkeley, there will be an all-day symposium where colleagues and former students will talk about the future of the research work David has been involved with over the last 40 years at UC Berkeley including microprocessors, storage, could computing, data science, and machine learning. (Service to the Campus and Community) Don’t Do It! The second part of the talk will offer advice on alternatives to being a terrible professor. As I’ve got nothing left to hide, I’ll use tell-all examples from my four decades at Berkeley. After a question and answer session, I’ll tell my story of how I accidentally became a CS grad student and a Berkeley professor, and life lessons that I wish someone had told me 40 years ago that I’ll pass along now. Will there then be a 6th edition of “Computer Archichitecture: A Quantative Approach”? Please say yes! The “perpesctives blog” is referenced in the 5th edition; that is how this one has come to subscribe to this blog. I don’t know if there will be another edition of the book but, like you, I hope there will be. It’s one of the best books in our field. For me, it’s right up there with Jim Grays database book (Transaction Processing: Concepts and Techniques). In fact, were I to pick only two industry books, these would be the two. I found you while trying to get ballpark data center bandwidth pricing; ie how much is typical with a 2Gbps or a 10Gbps commit……and variable above. Any thoughts for Bay area or other? But then I saw the David Patterson entry…..wow, wished I had seen that last month. I think I was in his first class at UCB……IBM-360 Channel Architecture of all things. I kept in touch in the 80s and early 90s but not later. He was terrific in 76/77. Did you catch his last lecture? is it on YouTube or someplace? Another thing worth noting, in my opinion, is Transmeta which was started by Dave Ditzel, advised by Patterson. I think we have not seen the last of this idea of dynamic translation of x86 CISC code to RISC code, for execution on a RISC processor. Unless the existing software ecosystem gets built for RISC cores, and makes this translation moot. Intel purchased Transmeta and some of the team still works there so, yeah, I agree that dynamic translation remains relevant. My take is that much more can be done with dynamic translation and I keep expecting and hoping to hear of a startup doing new work in the area. James, Embedded unassumingly in this retrospective is a super-insightful engineering gem: “Anywhere we find a gold plated hardware platform, there is opportunity to replace this system with a redundant array of high-volume, inexpensive parts. Exploiting volume economics and redundancy to produce less expensive solutions with even better reliability, availability, and serviceability is a theme that has kept me busy for much of my life and the idea is nowhere close to worn out.” Replacing “hardware platform” with anything of prohibitive or dominant cost in an engineering system, an engineer can make a career out of it. Thanks for the post, and more importantly for the nugget of compressed experiential engineering wisdom. It’s funny but a small handful of themes can last a working lifetime even in a fast paced industry like ours. He sounds like a Do it! Test it! Fix it! kind of a guy – the way the world makes progress. Most of this computer architecture stuff is double Dutch to me but I right in thinking that it is the foundation of ARM’s chip designs? If you aren’t running much network volume, buying OEM might make sense but, very quickly, merchant silicon wins. Of course, my first recommendation is to depend upon a cloud provider. If you really want to buy and deploy gear, it certainly makes sense to buy ODM switching and optics. I love and have had great success with the Brcm Scorpion, Trident, and Tomahawk lines. It’s good engineering at very good value. Broadcom has, over a lot of years, consistently been a great partner and I’ve really enjoyed working with them. A few factors have changed recently but I still like Brcm ASICs and team. The jericho ASIC lineage came from the Dune acquisition. They are aimed slightly up market. Depending on how Boradcom wants to price, Jericho might be interesting but it is likely Tomahawk is better bandwith value unless you are wed to chasis switches. Enjoy reading your thoughts. Very refreshing and candid. Ling asked what I might mean by “a factors have changed recently.” Brcm remains a strong company and, in past years, they have been a good partner. The purchase of brcm by Avago represents a change in leadership and potentially in approach. It’s neither good nor bad but it will be different. A second factor is some very good members of the brcm technical team have moved on over the last year or so. And, as you pointed out, there are many other merchant silicon suppliers competing in router ASIC market which, again doesn’t argue that brcm is any less capable of producing the best value solution, but there are a lot of competing alternatives here or near: Cavium, Innovium, Mellanox, Barefoot, and even Marvel will all be in market.